Page 125 – Cultural Critic. Bibliophile. Dramatist. 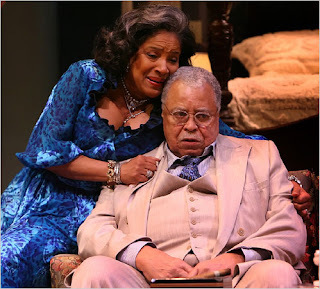 PHYLICIA RASHAD as Big Mama and JAMES EARL JONES as Big Daddy in the 2008 revival of “Cat on a Hot Tin Roof” by Tennessee Williams. PHOTO BY: Sara Krulwich of the New York Times.